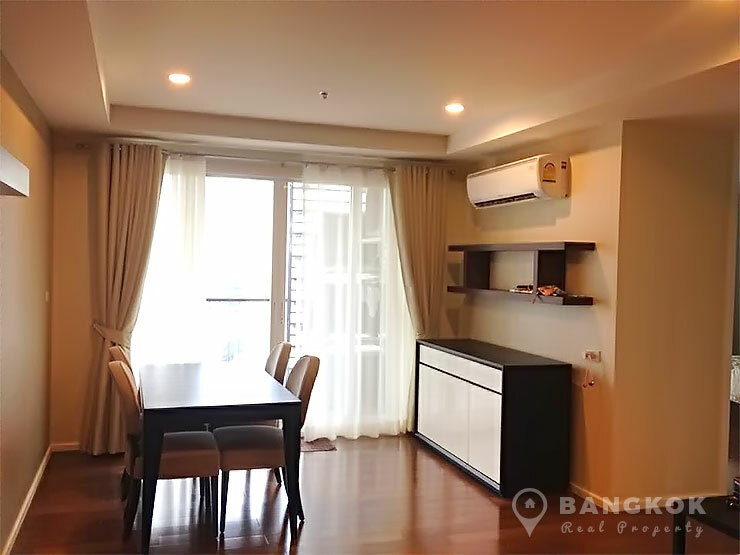 First time rental of this bright, very modern, 2 bedroom condo at 15 Sukhumvit Residences, centrally located on Sukhumvit soi 15 in the heart of Sukhumvit. 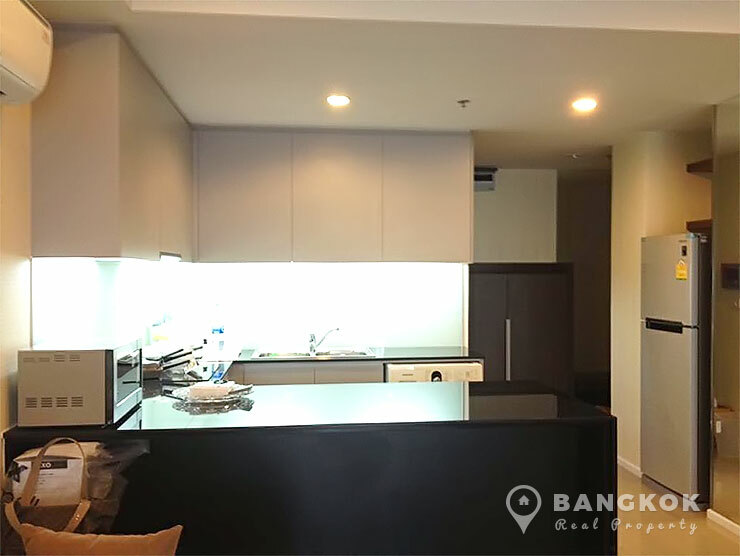 Superbly located just 7 minutes’ walk to Nana BTS and 9 minutes’ walk to Asok BTS / MRT and the popular Terminal 21 Shopping Mall. 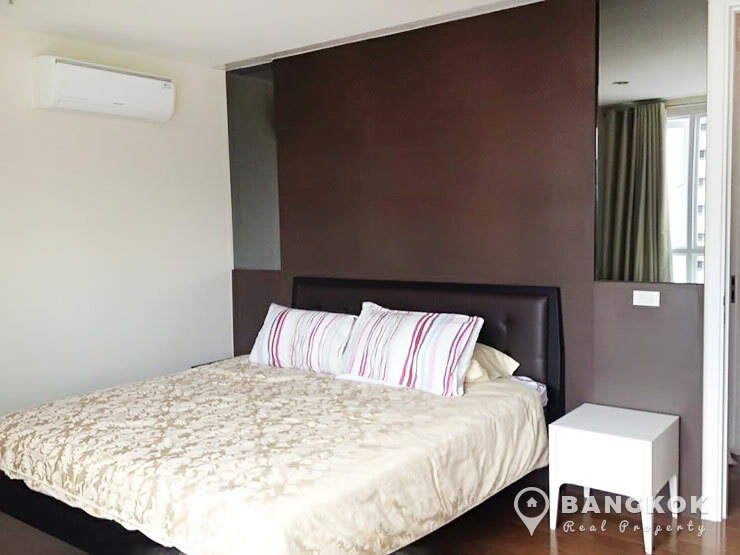 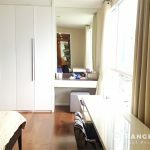 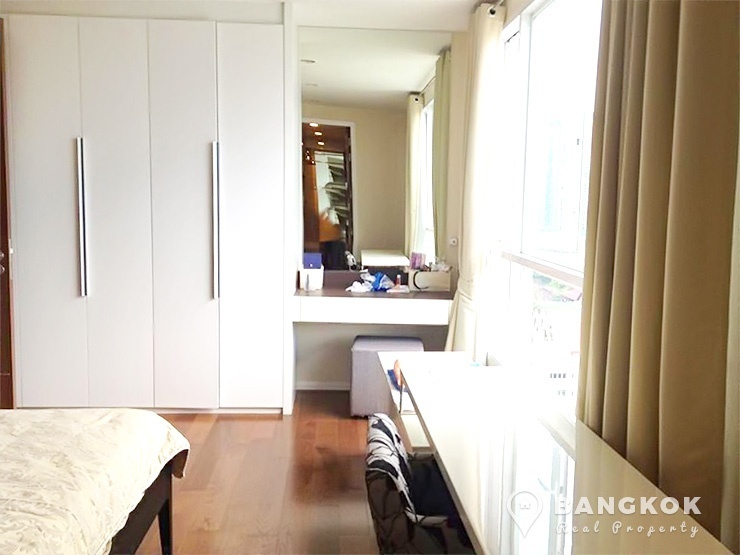 Situated on a mid-floor of 15 Sukhumvit Residences this bright modern 2 bedroom, 2 bathroom has 90 sq.m of living space. 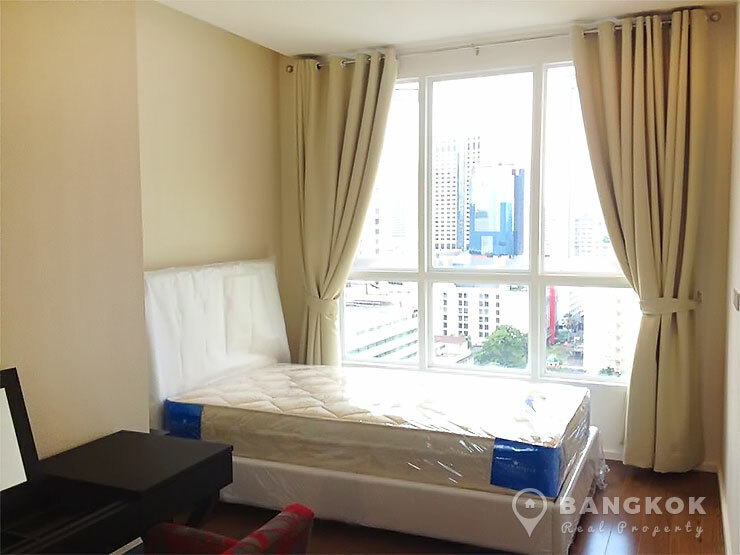 The unit is tastefully and fully furnished. 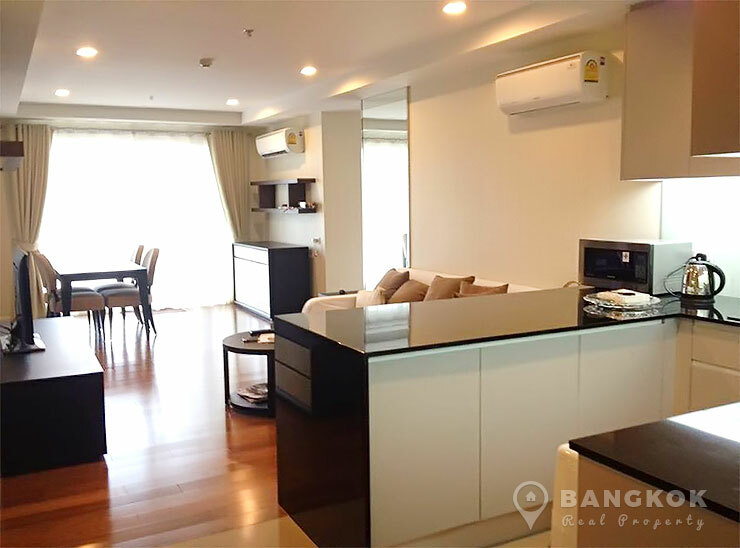 Residents at 15 Sukhumvit Residences enjoy a host of great amenities including large swimming pool with sunbathing deck, fully fitted gym & fitness centre, sauna, children’s playground, BBQ entertainment area, private gardens with 24 hour security and on site management. 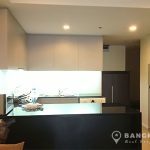 There is secure covered parking available. 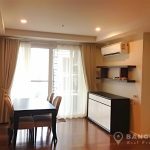 15 Sukhumvit Residences is a condominium project, located in Sukhumvit Soi 15 and within walking distance of Nana and Asok BTS stations. 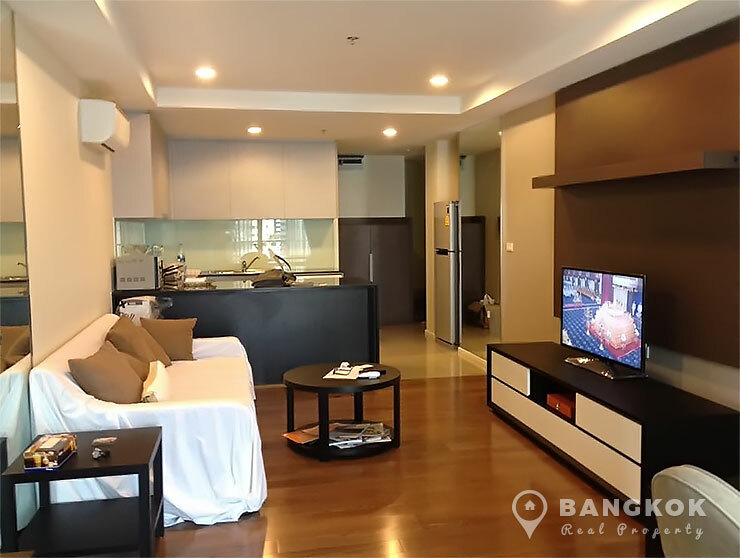 15 Sukhumvit Residences developed by VSSL Enterprise, was completed in 2013 and this high rise project comprises of a single building with 25 floors with 514 units, a mix of studio, 1 and 2 bedroom units.